With the hustle and bustle of school back in session, slow cooker recipes make getting dinner on the table super simple. 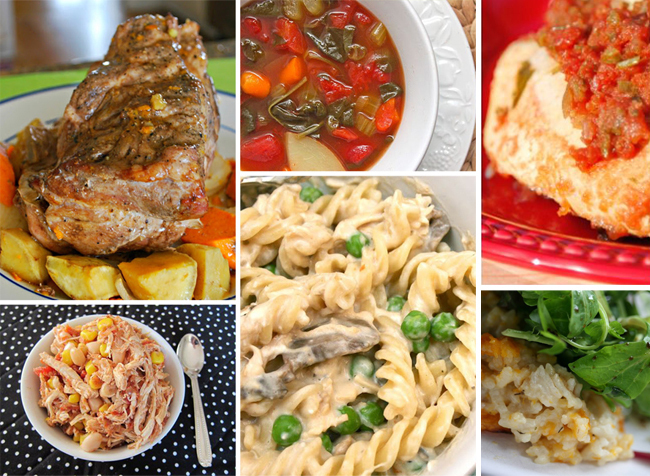 These slow cooker crockpot dinners aren’t just easy, they are delicious too! If you’re not home during the day to watch over your meal, the set it and forget it slow cooker will turn the heat down for you once your food is cooked! So handy! Creamy Crockpot Chicken Alfredo is sure to me a big hit from Smashed Peas and Carrots. What kid doesn’t love spaghetti? Crockpot Spaghetti with Meatballs from The Country Cook is so tasty! Butternut Squash Coconut Risotto by The Crafty Kitty is healthy and delicious! Crockpot Lasagna with No Precooking by Bento Lunch is sure to delight the whole family! Packed full of veggies, Cozy Crockpot Minestrone by Smashed Peas and Carrots makes a healthy family dinner. Pizza meets the slow cooker with this Crockpot Pizza Casserole from The Chaos and the Clutter. Shredded Chicken Tex Mex by Foodlets is kid tested and mother approved! Quinoa Tex Mex Casserole sounds so yummy and is full of good for you ingredients! By Chelsea’s Messy Apron. Slow Cooker Mississippi Pot Roast – OK, this isn’t exactly Tex Mex, but it has a little kick to it! By Today’s Creative Life. Easiest Slow Cooker Dinner leaves you with options for there different Tex Mex dinners. Slow Cooker Chili that kids love is a no brainer from Foodlets. Crockpot Shredded Beef Tacos are total crowd pleasers. Mexican Corn and Bean Soup from Weelicious is great way to pack more veggies into your kids diet. Slow Cooker Pork Roast by Mess for Less is nothing short of a weeknight feast! Slow Cooker Pulled Pork is sure to be a family favorite by Foodlets. Sipping once, sipping twice, your kids will love this Slow Cooker Chicken Soup with Wild Rice by Two Peas and Their Pod. Slow Cooker Creamy Chicken and Mushroom Pot Pie is prefect after a long day at school. From Foodlets. Chicken and Biscuits is perfect fall fare from Mostly Food and Crafts. Why wait until November? Try Thanksgiving Dinner in a Crockpot by Smashed Peas and Carrots. Slow Cooker Spare Ribs are the perfect weeknight meal. 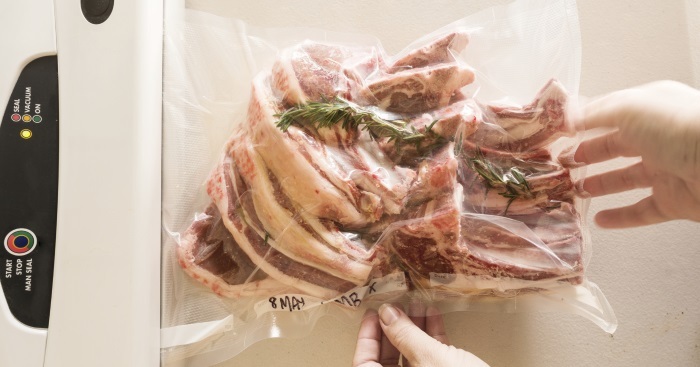 Freeze your leftovers for a future meal! Slow Cooker Broccoli Beef is even easier than ordering take out! From Cooking Classy. Kids will love Slow Cooker Teriyaki Chicken from Gimme Some Oven. Slow Cooker Asian Chicken Lettuce Wraps are easy to make and fun to eat! From The Comfort of Cooking. 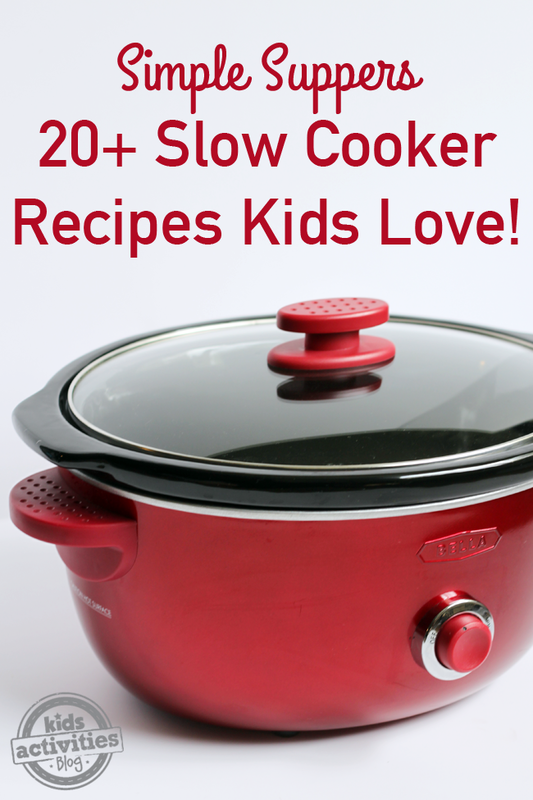 I hope these slow cooker recipes make getting dinner on the table a little easier! Thank you for these time saver recipes! Time is so limited, but feeding our kids healthy food is so important! Koala Coach respects that we are are looking for ways to easily add in healthy activities into our busy lives! Love all of your ideas! Thanks! comment. I? t?ere any way ?ou can remo?e me from that service?